All these games are in form of Free printables and you can easily print these with a color printer. 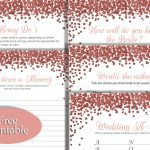 This is a free printable for this game in a beautiful rose gold color. Just click on this thumbnail and a bigger image will open up, you can right click and save that image. How to Play: Print and distribute the cards among your bridal shower party guests along with a pen or pencil. Give one copy of this game to the bride-to-be as well. Ask them to write answers of all the questions. 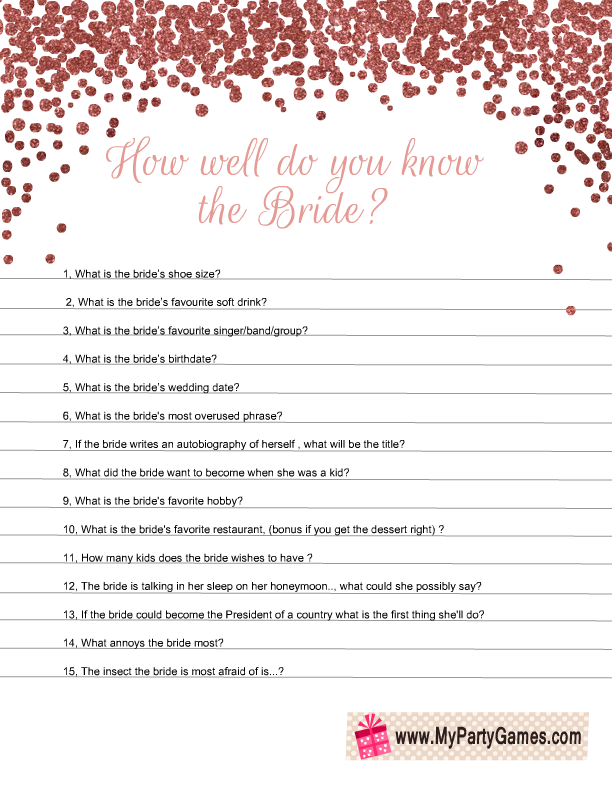 The person whose answers match with the answers given by the bride will be the winner of this game. This is another game that also needs involvement of bride-to-be. These cute games will be enjoyed by your guests and also by the bride-to-be. How to Play: After printing the game cards according to the number of your bridal shower party’s guests distribute these among them and also give them a pen or pencil. 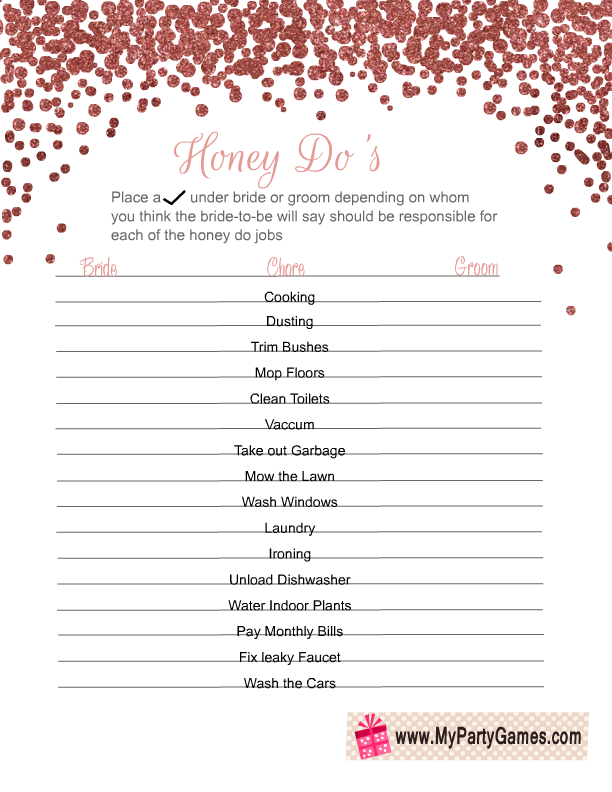 Ask the guests that which chores do they thing will be done by the bride after the wedding and which will be done by the groom. 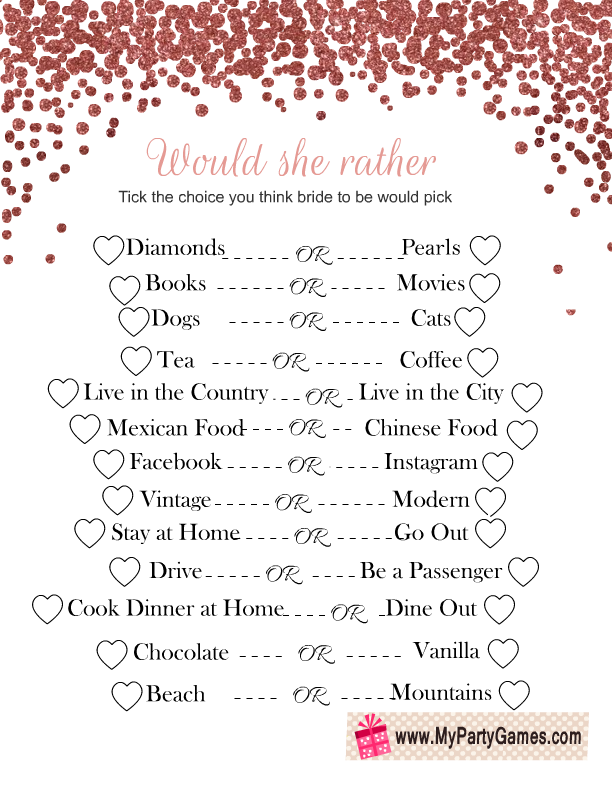 The guest whose guess matches with the opinion of bride-to-be will be the winner. This is another very popular bridal shower game. This game is also most appropriate for a close circle of friends and family who know the bride very well. How to Play: Like every other game, you should also print this game for all your guests and give it to them with something to write with. Don’t forget to give a copy of this game to bride to be as well. 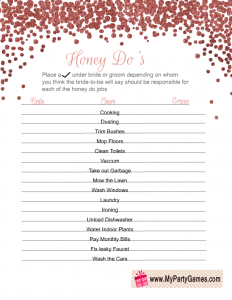 Ask your guests to tick the option they think bride-to-be would prefer. 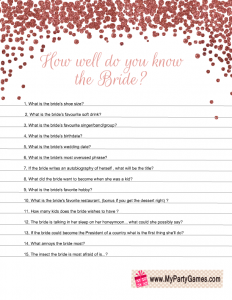 The person whose answers matches to the answers of bride-to-be will be the winner. Sometimes on bridal showers we also invite such guests that do not closely know the bride. In order to entertain such guests you can play this game. This game can also be played when kids are present at the bridal shower. How to Play: After distributing the cards among the guests set the timer to 3 minutes or 5 minutes. 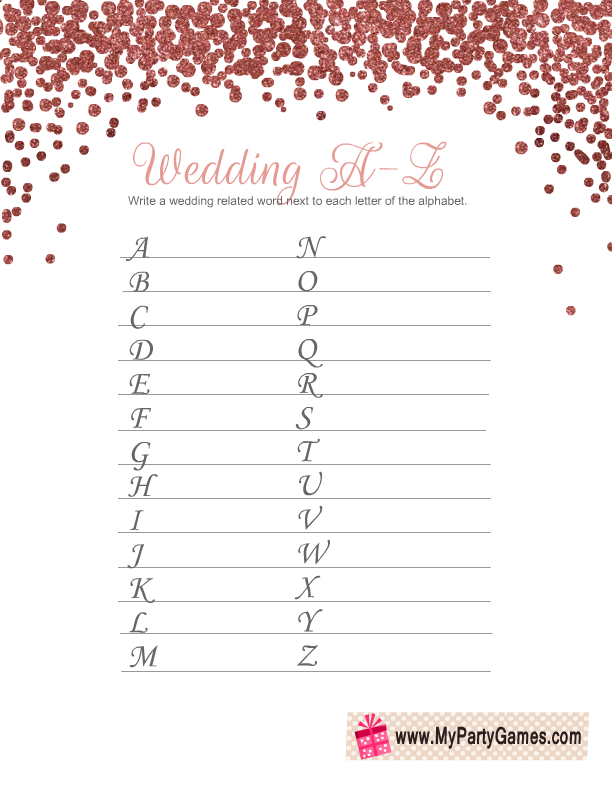 Ask your guests to make a wedding related word with each letter of the alphabet. The guest who makes most letters first will be the winner. This is again such a game that will be loved by close family and friends only and also the bride-to-be. 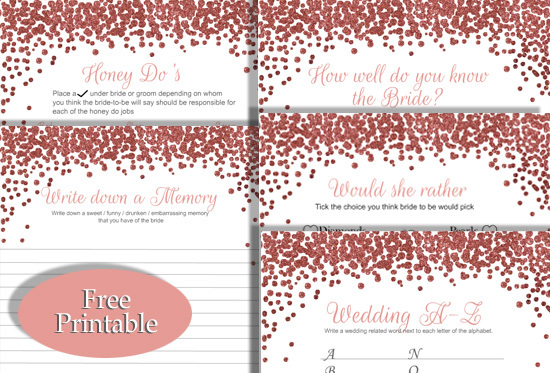 She can keep these game cards as a keepsake, as a memory of her beautiful bridal shower party. In order to save the game just click on the thumbnail and save the bigger image that will open up. 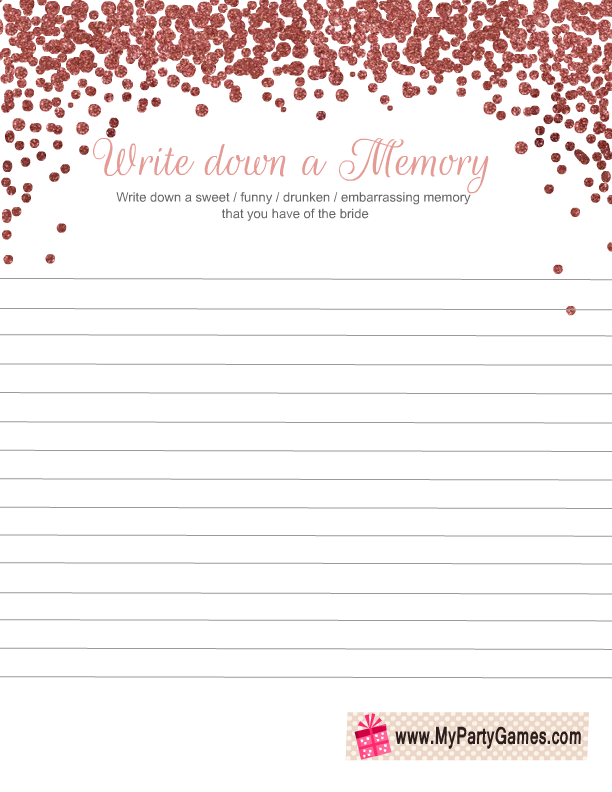 How to Play: Ask your guests to write down their most cherished memory they have with the bride-to-be. You can also ask them to read it out loud after they have finished writing it down. 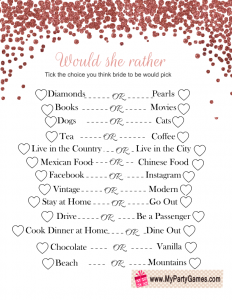 You can collect all the cards and give those to the bride-to-be so she can read these memories later and think about her beautiful bridal shower. If you like my games please leave a comment below. Comments always make me happy. You are not allowed to add any image from my website to your own website or blog. Please just pin these on Pinterest or share the links to my posts on your websites, blogs or social media platforms.